One of the aspects I found difficult to understand was the way in which the characters Tara and Emerson continued to accept Noelle for who they knew her as - even as all of the secrets and drama unfolded. I would find her actions heinous and unforgivable and it left me feeling as though the author glazed over what could be really strong, raw emotions in order to finish the book with a feel-better ending. Though I was captivated the whole way through and enjoyed the read over memorial weekend... it reminded me more of the "pre-teen drama-infused genre books. Have not read this one. Am looking forward to next month's Book Club thoughts on The Help. Sounds like it really provoked some conversation. A good thing in a book club read. Glad you had fun! I was looking for this book and found another one by the same author (review done) and found it very good. I hope I eventually get to this one. Wish that I was part of a book club in real life. Sounds like so much fun! I wanted to get this book at BEA so bad, but right when I was up near her, she got up and left (ran out of books) a few people ahead of me in line. All I could think was "noooooo." Glad to hear it was good. Sounds fast paced and intriguing! I have to get a copy! Sounds like a great thought provoking read. 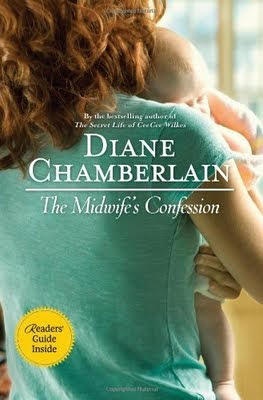 I enjoyed The Midwife's Confession - it was an intense and at times, a very emotional read. The only problem was that I found myself liking Noelle less and less as the story progressed. This is definitely an emotional read. I can see how it would generate a lot of discussion. The Help is another great read. I'm sure you will have lots to discuss for it as well.